I frequently intentionally make time to see the sunset, and sometimes the sunrise too depending on the time of year and whether I expect it to be good, depending on the expected weather. Here are a few of my favorites from 2015. 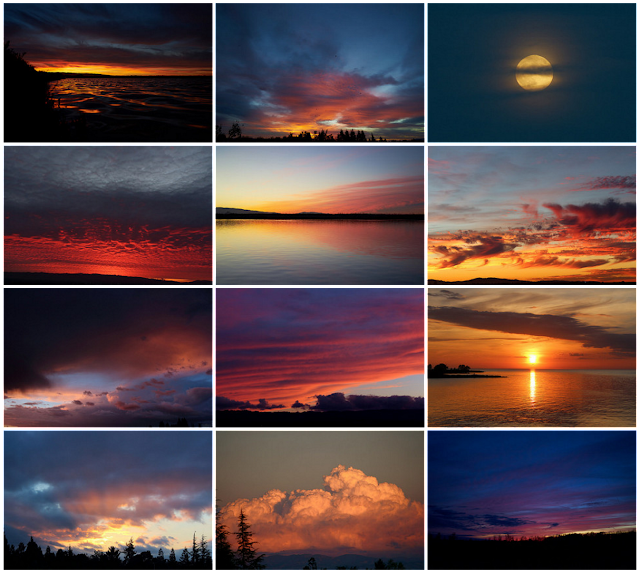 Click here to see the full album of 230 photos of 90+ sunsets/sunrises from the last year.